MYDNA is a chic and contemporary storage system inspired by the DNA concept in two different ways, first its sophisticated, organic and stylish structure in the shape of double helix and second with a metaphorical statement which establishes that everything you place on its shelves defines a significant part of your personal identity. 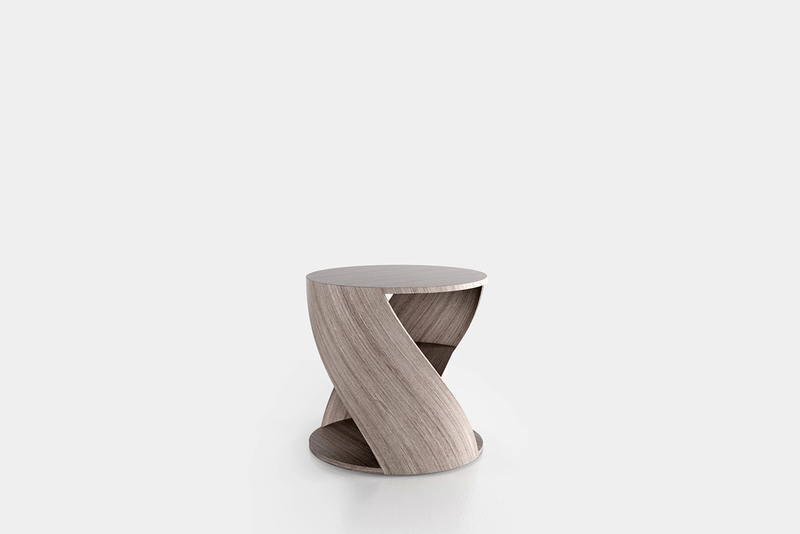 Cylindrical side table with a middle shelf, from the collection MYDNA designed by Joel Escalona. Made of wood and heavy-duty fibers. Finished in natural wood or semi-gloss lacquer. Materials / Curved Wood and heavy-duty cellulose. MYDNA Table / Ø50 x H50 cm / Ø20'' x H20"